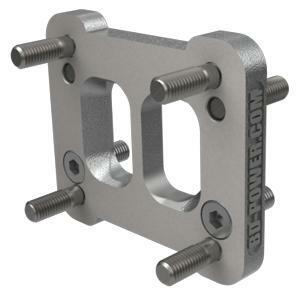 BD Diesel Flange Adapter UNIVERSAL - Dezod Motorsports Inc - Home of the automotive performance enthusiast since 2002. With T4 sized turbochargers, there is no performance advantage to changing the exhaust manifold to match… So, why go to the expense? Our adapter flange makes for an inexpensive alternative to replacing the manifold and allows for quicker changes back and forth from T4 to T3 turbos. dual throat adapter flange. Machine cut flat to 0.480, our adapters seals in exhaust drive pressure.